How Much Does Cici’s Pay? How Old to Work at Cici’s? If you believe in making life flavorful by empowering guests to find the tastes the love, Cici’s careers and job vacancies may be perfect for your next step up the career ladder. Cici’s started as a single restaurant in Plano, Texas in 1985. They have grown to a community of over 440 restaurants across 35 states. 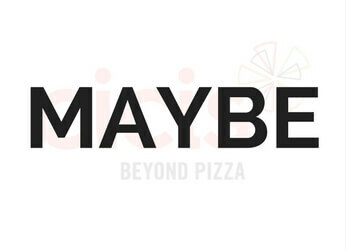 Cici’s founders are the inventors of the pizza buffet. They are also strong believers in experimenting in and exploring tastes and flavors. Cici’s is committed to providing a dining experience where being individual is celebrated. This approach to individuality in food means you’ll need to be great at communicating with guests to work at Cici’s, making them feel comfortable in exploring new combinations. You should also want to make your mark on the local community. You will do this through empowering guests and otherwise. If you want work with Cici’s, some of the jobs you may be interested in include Shift Supervisor, Team Member, Delivery Driver, Assistant Manager and General Manager. You have a choice of application methods when putting yourself forward for a job or career at Cici’s. Current vacancies can be found either online or in your local Cici’s branch. If you do your job hunting online, you can either apply online for your chosen jobs, or use the text application method. The codes and numbers to send texts to are detailed next to each current vacancy. After answering the initial 12 – 18 questions, you’ll need to answer some more over the phone once your application is submitted. The application will take around 30 minutes to complete. The same process applies for all jobs. Some of the most popular roles at Cici’s include Shift Supervisor, Delivery Driver, Assistant Manager, Team Member and General Manager. Cici’s places so much pride in every pizza they make. So, a Team Member must be just as passionate about serving outstanding food. Team Member duties include greeting visitors and taking orders. They will also be discussing potential new flavors and making pizza. They also work on cleaning the restaurant and operating the cash register. To stand out as a Cici’s Team Member, you’ll need to work busy shifts on your feet, have outstanding customer service and communication skills and be able to work a cash register. If you’re an outgoing, friendly person with a valid driver’s license, this could be the job for you. Delivery Driver’s at Cici’s can benefit from a profitable, fun job in a fast-paced environment, with potentially excellent opportunities for career progression. This role would suit a candidate with a mature, responsible attitude and outstanding customer service skills. Guests visit Cici’s to experience the empowering effect of feeling like people appreciate them for their individuality. The excellent pizza helps too, of course. As a Shift Supervisor, you’ll help direct the shifts within a Cici’s restaurant, making sure all activities comply with company standards, and staff supply only the best products and services to guests. They prefer that you have previous experience. Food Prep Team Members make every pizza served at a Cici’s restaurant with pride. Duties including keeping a clean and tidy working environment, following recipes and procedures and complying with Cici’s high standards of cleanliness, food hygiene and teamwork form part of the job. If you have a commitment to excellent teamwork, customer service and food preparation, this job could be a great fit. A business can only reach its potential with the help of some expert marketing, and Cici’s is currently hiring a Marketing Specialist to help do just that. Taking responsibility for supporting the marketing department with the roll-out of promotions, and working on a variety of events including new restaurant openings, local marketing programs and PR development, a Marketing Specialist will have a challenging yet rewarding career. Excellent organization skills, marketing experience and ability to multi-task are desirable. As well as the customer-facing and marketing roles that make the daily operation of Cici’s Pizza run, they need strong managers to optimize service and performance. Cici’s currently have several manager-level jobs available. The Cici’s General Manager will have a key role to play in the operation of the restaurants. With overall responsibility for overseeing daily operations, and ensuring compliance with all standards and regulations, this is a varied role suited to an experienced manager. Assistant Managers at Cici’s take responsibility for one restaurant, ensuring compliance with company standards, recruits team members and oversees all activities. A commitment to delivering excellent service is essential. An enthusiastic Field Marketing Manager is also on Cici’s Pizza’s wish list. Strong communication skills, ability to build customer relationships, driving marketing promotions and developing new initiatives will all come easily to the ideal candidate. Details of all Cici’s manager careers can be found on their careers webpage. How Much Does Cici’s Pay (Hourly & Salary)? As well as a rewarding working environment, a job at Cici’s Pizza offers a good rate of pay and promotion opportunities. Hourly rates at Cici’s start at around $7.61 for a cashier, increasing to a $49,993 annual salary for a retail sales manager. For comparison with similar employers, Chipotle crew members earn around $9.31 an hour. How Old Do You Have to Be to Work at Cici’s? 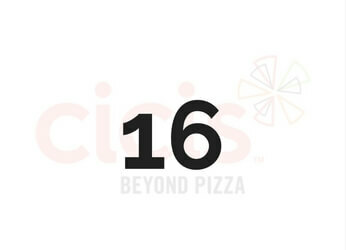 The minimum age for working at Cici’s Pizza is 16. A higher age limit of 18 will apply to manager-level roles. Cici’s do not always drug test during the recruitment process, however, it has been done on occasion. It is best to assume that drug screening will occur. So, you’ve scored an interview at Cici’s? Congratulations! To help you succeed at interview, and land the job you’ve applied for, here are a few tried and tested questions and tips. Why do you want to work for Cici’s? Most job interviews, no matter where you apply, will involve either this exact question, or a very similar alternative. Given that Cici’s operates in a service industry, make sure to emphasize your passion for outstanding service. You could perhaps add that you like by Cici’s empowerment of individuality, and want to be part of an organization that thinks in that way. While we all want to earn as much as possible, it’s important to be realistic. Before your interview, research the job you’ve applied for, and the average hourly rate or salary they earn. Use this as a guideline if the question comes up in interview. Unless you’re interviewing for a senior and very specialized role, there’s unlikely to be much room for negotiation. At least one guest per shift is going to ask you to recommend toppings, so you should be able to answer this confidently if you’ll be working in the restaurant. Why do your favorite toppings go together so well? Is there anything you’d like to add in the spirit of Cici’s individuality? What about any taste experiments that haven’t gone so well? You must dress smartly for your Cici’s interview. For store-level roles, a business casual look will be fine, so think along the lines of khakis, a button-down shirt, smart skirt or blouse. If you’re interviewing for a manager role, it’s generally advisable to wear a jacket and tie, or similarly smart outfit. Whatever your job level, take pride in your appearance and make sure you’re neat and tidy when you arrive.